This matter came before Administrative Law Judge (ALJ) Marian H. Tully, Office of Administrative Hearings, State of California (OAH), on remand from the United States District Court, Southern District of California (District Court), Case No. 10CV0897. David Grey, Esq., represented Student and her parents (Student). Brian R. Sciacca, Esq., represented the Poway Unified School District (District). Student filed her due process hearing request on July 29, 2009. ALJ Robert F. Helfand, heard this matter in San Diego, California, on December 8, 9, 15 and 16, 2009. The matter was submitted on January 11, 2010. The ALJ issued his decision on January 29, 2010. District sought review of the ALJ’s decision in District Court. On September 26, 2011, the District Court, in Case No. 10CV0897, the Honorable Larry Alan Burns presiding, issued an order vacating the ALJ’s decision and remanding the matter for further proceedings consistent with the District Court’s decision.1 On April 4, 2012, pursuant to the parties’ stipulation, the matter was submitted on the record. 1 The District Court expected, and it would ordinarily be the case, the decision on remand would be assigned to the ALJ who presided at the hearing. However, at the time the case was remanded, the ALJ who heard the matter was not available. Therefore, following notice to the parties, a different ALJ was assigned to review the record and comply with the District Court’s order. On remand, the ALJ had the benefit of a written transcript of the hearing. OAH decision format does not normally include record citations. However, in this instance, due to the change of ALJ, to the extent this decision contains additional or different factual findings, record citations are provided. Did the District deny Student a free appropriate public education (FAPE) by failing to provide for communication access real-time translation (CART) classroom transcription in the May 18, 2009 individualized education program (IEP)? 1. Student, at the time of the due process hearing, was a 15-year-old girl living within the jurisdiction of the District and attending ninth grade at Del Norte High School. Student has profound hearing loss in both ears. She is eligible for special education under the eligibility category of hearing impairment as her profound hearing loss results in auditory and language and speech delays adversely affecting communication and academic progress. She has attended general education classes along with her typically-developing peers throughout her education. 3. A hearing aid is a sophisticated sound amplification system. With digital technology, the device can be adjusted to amplify certain types of sound and not others. 5. Student requires accommodations such as preferential seating and an FM amplification system to access the general education curriculum. Preferential seating is required to make it easier for Student to hear over background noise and because Student supplements her hearing with lip reading to understand most of what is said. An FM system uses radio frequencies to transmit audio signals directly to hearing aides and cochlear implants. It consists of a wireless microphone the speaker wears close to his mouth and the desired acoustic signal is transmitted directly into the hearing device. 7. Student attended Oak Valley Middle School for the sixth (2006-07), seventh (2007-08) and eighth (2008-09) grades and did well academically. 8. An annual IEP team meeting was held for Student on November 3, 2006. At this meeting, the team discussed trouble that Student, then a sixth grader, had understanding information from media materials because of background noise. At an IEP team meeting on April 5, 2007, Mother requested the District provide transcription services for Student because Student sometimes struggled to keep up with what was going on in class and would at times miss information about assignments, projects, and tests. The Deaf and Hard of Hearing (DHH) teacher, Nancy Simpson, was exploring options for transcription services. 9. At the annual IEP team meeting on October 30, 2007, Mother again requested transcription services for Student because Mother was concerned academics would grow increasingly more difficult as teachers used more lecturing and classroom discussions. Ms. Simpson, the itinerant DHH teacher, was present at the meeting, and informed Parents the District was in the process of acquiring that accommodation although there was no timeline as to when it might be available. 10. On October 21, 2008, the IEP team conducted an annual meeting. In attendance were Student; Mother; Susan Houle, administrator; Holly Mehaffie, special education resource specialist; Ms. Simpson; and Student’s two general education teachers, Susan Lage, science and algebra, and Jeannine Ugalde, language arts and social studies. The team reviewed Student’s grades at the time: B+ in Algebra, B+ in Science, B in Language Arts, and C in Social Studies. Student was missing information during Ms. Ugalde’s and Ms. Lage’s classes. Both offered to meet with Student outside of class to go over notes and check for understanding as to what occurred in class. The teachers also reported the FM system appeared to assist Student in the classroom setting. The team determined Student met all goals from her previous IEP, and she exceeded grade level standards in writing. The IEP team set two goals for Student. The first goal was to continue to use an FM auditory system. The second was to use written or oral form to “demonstrate that she comprehends new vocabulary and/or concepts being presented in the 8th (9th) grade curriculum with 85% accuracy as measured by teacher records and progress reports.” Mother was concerned about Student’s upcoming transition to high school and asked for another meeting to deal with the transition. Mother also asked District to provide classroom transcription service. DHH teacher Ms. Simpson acknowledged Student would require transcription services in high school. Ms. Simpson again told Mother the District was in the process of acquiring such a system. 11. Student continued to do well during the eighth grade and received trimester grades for Social Studies of B-, B, and B; Language Arts of B, A-, and B+; Physical Education of A+, A-, and A+; Physical Science of B, B, and B; and Algebra3 of A-, A-, and A-. Student scored in the “proficient” range in English Language Arts and Algebra I on the STAR testing in spring 2008. STAR stands for “standardized testing and reporting” and is used by the California Department of Education to assess mastery of state content standards. 12. There are two basic systems used to transcribe speech to text to assist DHH pupils. The first is “word-for-word” which produces a verbatim transcription showing each word spoken in the classroom. The second is “meaning-for-meaning” which produces a transcript that condenses the words spoken while maintaining the meaning intended by the speaker. 13. The “word-for-word” system, CART, involves a stenographer who uses a stenographic (or court reporting machine) to create a verbatim transcript on a laptop viewed by the pupil. The transcript appears almost simultaneously as the words are spoken. Sandy Eisenberg owns Total Real Time, a company providing CART services for closed captioning4 and school districts. Ms. Eisenberg explained that CART operators are graduates of court reporting schools and must type at least 200 words per minute on a stenography machine and differentiate between four voices. The normal rate for a speaker is 160 words per minute. According to Ms. Eisenberg, CART has an accuracy rate of “at least 98 percent.” If an operator’s accuracy rate is at 95 percent, Ms. Eisenberg would find that insufficient. Pupils receive a disk with the transcript of the class daily. 3 Student was repeating Algebra I for the second year. 4 Closed captioning displays a transcription of the audio portion of a television or video program as it occurs. 5 The other system is C-Print which is similar to TypeWell. 16. Around May 4, 2009, Mother, other parents, Ms. Simpson and other District staff attended a demonstration of a “meaning-for-meaning” system at a SDUSD high school. The demonstration was in a social studies class. Mother sat two feet from the screen. (R.T. 12/15/2009 p. 180.) She noticed the transcript lagged behind the lecturer and portions of the lecture were not captured. The transcript was in summary form; and although it captured the gist of what was said, it was not complete. 18. Ms. Lage was Student’s eighth grade teacher for Algebra I and Physical Science. Ms. Lage has been a teacher since 2000. Ms. Lage described Student as an excellent student, a dedicated pupil who takes school seriously. (R.T. 12/15/2009 p. 73.) Student helped Ms. Lage as a “TA” grading papers, filing, and helping Ms. Lage with “busy work.” (R.T. 12/15/2009 pp. 62-63.) Student was an “A” student in Algebra and a “B” student in Science. Student would often ask questions to clarify what was discussed in class. Ms. Lage did not modify Student’s grades to account for her disability. (R.T. 12/15/2009 p. 74.) The only accommodations Ms. Lage provided were the FM system and preferential seating. (R.T. 12/15/2009 p 76.) Ms. Lage felt, even without transcription in class, Student would do either “A” or “B” work in high school math and “B” work in Biology. Ms. Lage met with Student before the May 18, 2009 IEP meeting to discuss transcription services. Ms. Lage did not know anything about transcription systems, had never seen one used or read an actual transcript. (R.T. 12/15/2009 p. 67, 77-78.) Student told Ms. Lage she preferred the CART system because it was “word-for-word” and accurately reproduced what occurred in the classroom. 20. An IEP team meeting was scheduled for May 18, 2009. Before the meeting, Mother researched various transcription services and wrote a detailed three-page report entitled “CART-Real Time Captioning for [Student]” (Parent Report). She forwarded copies to Student’s teachers and other members of the IEP team before the scheduled meeting. In the report, Mother laid out the results of her research and her observations of the demonstration at SDUSD. Mother opined Student needed a “verbatim caption that she can refer to and fill in as needed when audition alone is not sufficient” because (1) CART would enable Student to have access to the same information as her peers; (2) Student could determine what was important in class discussions and not rely on a note-taker’s interpretation; (3) Real-time captions would permit Student to understand immediately if she missed something during class; and (4) CART would help Student build vocabulary. 22. The May 18, 2009 IEP specified services, modifications and accommodations for high school including: DHH Language and Speech, Resource Specialist Program (RSP) Learning Strategies class, preferential seating, a second set of text books for the home, copies of teacher’s notes when necessary, closed captioning for media, peer note taker in Health class, personal auditory FM system, laptop for streaming closed captioned videos, closed caption decoder, visual presentation of new materials and vocabulary, and directions to teachers to face Student when speaking. (R.T. 12/16/2009 pp. 46-47; Exh. D-5.) The IEP team determined transcription would be provided in classes with a lot of lecturing, English, Geometry and Biology. Parents refused to consent to the IEP. Parents requested that the type of transcription service be designated in the IEP. The program specialist offered to share Parents’ concerns with the special education director. 23. On May 20, 2009, Mother emailed Ms. Ugalde and Ms. Lage. She asked for their input as to which transcription service they believed would be most appropriate to meet Student’s needs. 26. On June 9, 2009, the IEP team reconvened at Parents’ request to discuss which type of transcription system would be provided to Student for her ninth grade year. Parents, Ms. Lage, Ms. Simpson, and Ms. Mehaffie attended. Parents maintained Student required CART to meet her needs. Ms. Simpson informed Parents the District had communicated with other school districts. Ms. Simpson described a student from one district who switched from CART to a “meaning-for-meaning” system because he was overwhelmed by the amount of information presented in the verbatim format. Ms. Simpson concluded a “meaning-for-meaning” system was appropriate for Student because CART can be distracting and it includes transcription of student participation in the transcript. Ms. Mehaffie was not familiar with TypeWell and, until the May 18, 2009 IEP meeting, had not known what CART was. Ms. Simpson added Student would benefit from transcription services. Parents refused to consent to the IEP. 31. Student testified at the due process hearing. She was a pleasant and articulate 15 year old. Because of her hearing deficiency, she relies on her limited hearing and lipreading to understand what occurs during class. Thus, Student must face the speaker to comprehend the gist of what is being said. Student must concentrate intensely to comprehend what is said in class which causes her frequent headaches. Frequently, she misses what is said in class. She also is often unable to hear when her peers participate in class discussions and misses or misunderstands instructions and assignments. Student estimates she must take much more time to do assignments and study than an average student in her classes to ensure she understands what is discussed in class. She estimates she takes three hours or more to complete an assignment that would take an average student one hour. Parents often assist her in this task. Because of the nature of her classes, it is important for Student to understand what is being said by her fellow students during class participation for her to learn the material. Student constantly asks questions during class and meets with teachers outside of class to clarify what was discussed in class. 32. Student was familiar with word for word transcription. Student attended a demonstration of CART at a Miramar College philosophy class. Student was able to follow what the lecturer was saying because she used the screen to pick up words she did not comprehend from her listening and lip-reading. She attended a TypeWell demonstration at Stanley Middle School and has used TypeWell during her Biology class on approximately three occasions. Student found TypeWell transcription confusing because (1) the operator was unable to keep up with what was being said and (2) not every word appeared on the screen. Student often looked at the screen to see words she did not understand; and since the words were not always present, she became confused and lost her concentration. Student also liked CART because she, instead of the TypeWell operator, could decide what was important. 33. Student’s expert, Jacqueline Solorzano, has been an auditory verbal therapist since 2005. Auditory verbal therapy is designed to teach a hearing impaired child to use hearing provided by a hearing aid or cochlear implant for understanding speech and learning to talk. She received a B.S. in child development from California State University, Fullerton in 1999, and a M.S. in education from the University of Southern California in 2000. She was an oral teacher to DHH students from 2000 to 2003, and a preschool special education teacher from 2003 to 2006. Ms. Solorzano has two adult children with severe hearing loss who have cochlear implants. She became familiar with CART five years ago when she researched whether it would be appropriate for her children. Both of her children use CART. People with cochlear implants have problems with background noise because all noises are equally amplified by the implant. This distracts the listener and inhibits the listener’s ability to attend to the speaker. Persons with cochlear implants often do not hear an entire word but only a portion of the word. Because a CART transcript is almost simultaneous, a person using CART can glance down at the screen to see a word which the listener has not completely heard or is unsure about, or to catch up to what is being said by a peer in the classroom. 34. Ms. Solorzano observed Student in her ninth grade Biology class approximately one week prior to the commencement of the due process hearing. She spent under an hour in the class and observed TypeWell in use for about 10-15 minutes. (R.T. 12/09/2009 pp. 40-41.) Ms. Solorzano had never observed TypeWell in any other setting. (R.T. 12/09/2009 pp. 40-41.) The purpose of her classroom visit was to observe Student, not to observe whether TypeWell was effective. (R.T. 12/09/2009 pp. 44-45, 49-50.) The class had a lot of background noise and the teacher kept the classroom door open which permitted additional noise. TypeWell was being used by another pupil. Ms. Solorzano observed the TypeWell typist failed to capture student questions and discussions during class. She also observed the transcript often stopped while the typist made corrections. Ms. Solorzano opined CART would assist Student in her goal to learn and understand new vocabulary and concepts because CART allows the listener to almost simultaneously see a word, hear it and connect it to the context. Ms. Solorzano further opined CART would allow Student to feel a part of the class because she could keep up with and understand what is being discussed, including comments by other students in the class as well as the teacher. Thirdly, CART assists a DHH student in learning the skill of note-taking because it permits the student to follow along in real time. Based upon these factors, Ms. Solorzano concluded CART was appropriate for Student to meet her unique needs. 2. Student contends, in her brief on remand, the issue is whether the District’s offer of TypeWell, and other accommodations in the May 18, 2009 IEP, was reasonably calculated to enable Student to receive some educational benefit. Student argues that nothing short of word for word transcription provided by CART in addition to the supports contained in the IEP will satisfy the FAPE standard of “some educational benefit.” District contends the services included in Student’s May 18, 2009 IEP, including TypeWell transcription, were reasonably calculated to provide Student with some educational benefit. For the reasons set forth below, Student failed to prove, by a preponderance of the evidence, that District’s failure to provide CART transcription denied Student a FAPE. 10. 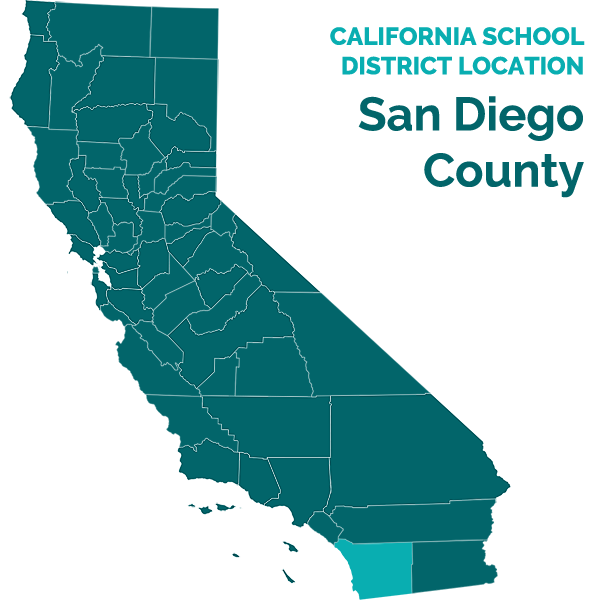 Two recent decisions, D.H. v. Poway Unified School District (S.D. Cal., Mar. 14, 2011, No. 09cv2621-L(LNS)) 2011 WL 883003 (Poway), and K.M. v. Tustin Unified School District (C.D. Cal., July 5, 2011, No. SACV 10-1011 DOC (MLGx)) 2011 WL 2733673 (Tustin), considered a similar issue to that presented here. The student in Poway had a cochlear implant in her right ear and a hearing aid in her left ear. The student in Tustin had a cochlear implant in her right ear, a hearing aid in her left ear and had recently received a cochlear implant in her left ear. The students in both of these cases attended a regular school and took general education classes with non-disabled peers. Each student progressed from grade to grade with passing or better grades. Both students were auditory/oral learners and used speech and listening as their primary mode of communication. Both students were provided assistive technology such as FM amplification and close captioning. Both students had preferential classroom seating, and used lip reading and other strategies to help themselves understand what they did not hear. Parents of each student requested CART classroom transcription because the students sometimes missed what was said in class. An ALJ in each case found the student was not entitled to CART under the IDEA.